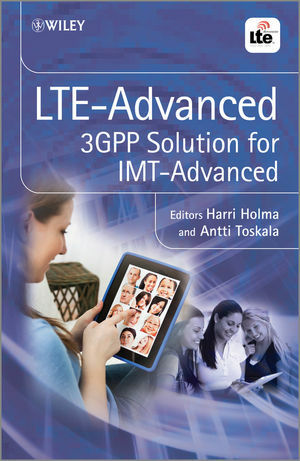 From the editors of the highly successful LTE for UMTS: Evolution to LTE-Advanced, this new book examines the main technical enhancements brought by LTE-Advanced, thoroughly covering 3GPP Release 10 specifications and the main items in Release 11. Using illustrations, graphs and real-life scenarios, the authors systematically lead readers through this cutting-edge topic to provide an outlook on existing technologies as well as possible future developments. The book is structured to follow the main technical areas that will be enhanced by the LTE-Advanced specifications. The main topics covered include: Carrier Aggregation; Multiantenna MIMO Transmission, Heterogeneous Networks; Coordinated Multipoint Transmission (CoMP); Relay nodes; 3GPP milestones and IMT-Advanced process in ITU-R; and LTE-Advanced Performance Evaluation. Harri Holma and Antti Toskala are both with Nokia Siemens Networks (NSN), Finland, working on cutting edge technologies for mobile communications today. They are actively involved with 3GPP Standardisation and product development.